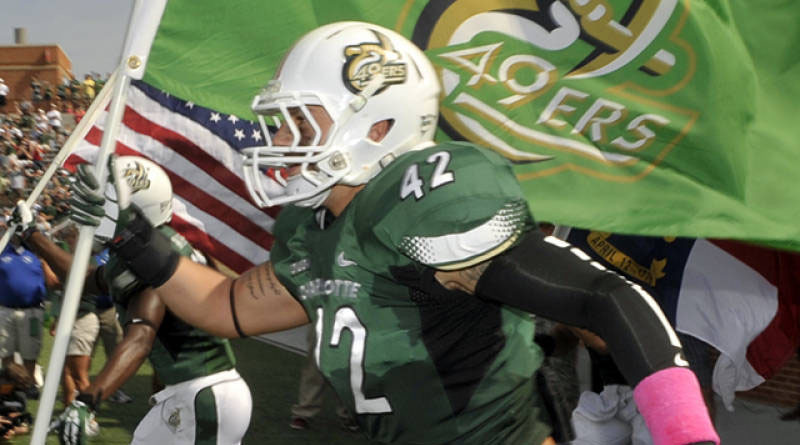 Conference USA has announced its preliminary television schedule for the 2016 football season, and the current schedule includes three Charlotte 49ers road games. Charlotte’s season-opener at Louisville will be televised by the ACC Regional Sports Network. The 49ers game at Marshall will be televised nationally by first-year C-USA TV partner beIN Sports and the 49ers road game at Southern Miss will be televised by the American Sports Network (ASN).